Driven by innovation, SmartWoodTM is our way of building homes for the future. As steel was the preferred material of the 1800s, concrete the 1900s, SmartWoodTM is the health-conscious material of the 21st century. 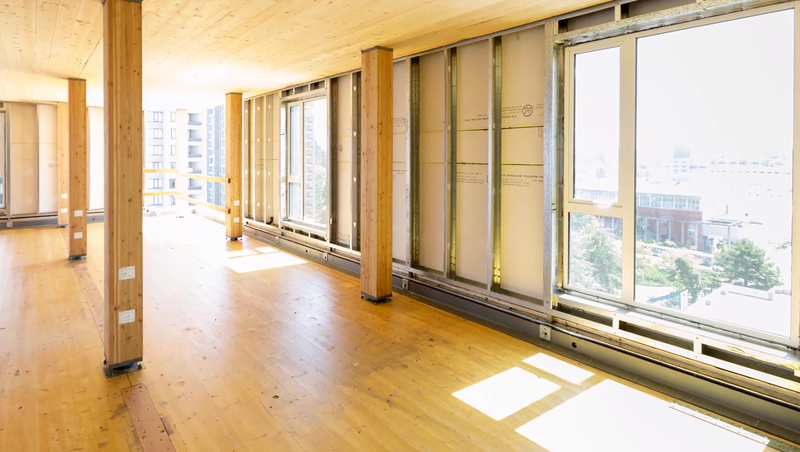 As industry leaders through our use of cross-laminated timber (CLT), our approach to SmartWoodTM was created from our unwavering commitment to innovation and a better way of home building. The use of SmartWoodTM in our buildings creates healthier superior quality infrastructures designed to surpass alternative building materials. SmartWoodTM has a cleaner carbon footprint with air components to sequester carbon, for stronger healthier homes. 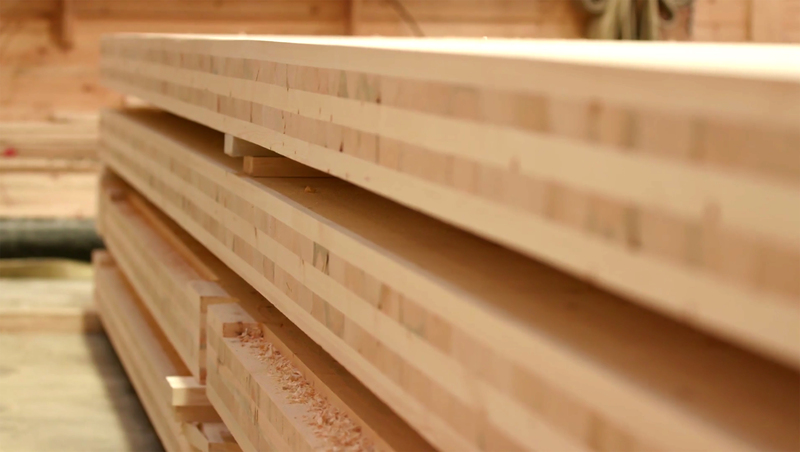 Cross Laminated Mass Timber (CLT), a multi-layer mass timber product that matches the strength and durability of concrete and steel at a fraction of the weight. 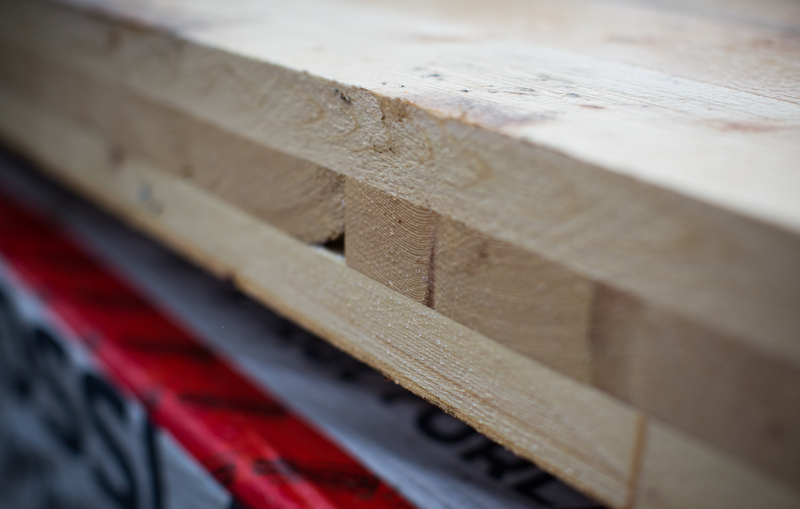 In addition to being a sustainable resource, CLT is carbon negative and uses wood exclusively from sustainably managed forests. 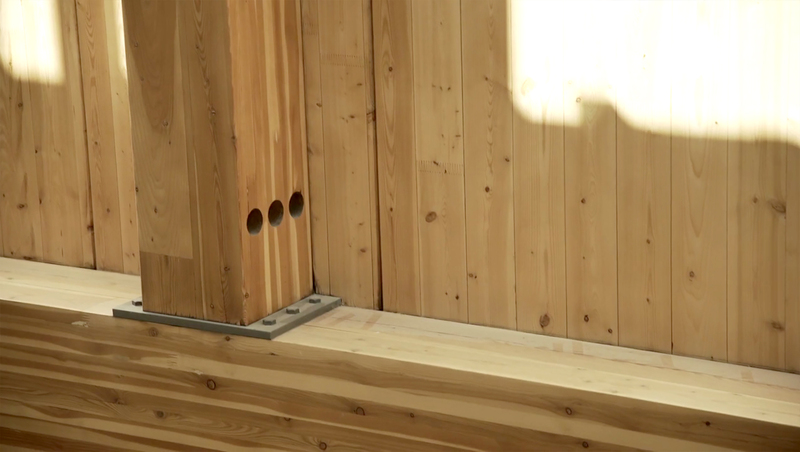 CLT opens the door to a new, ecological way to construct mass timber buildings. 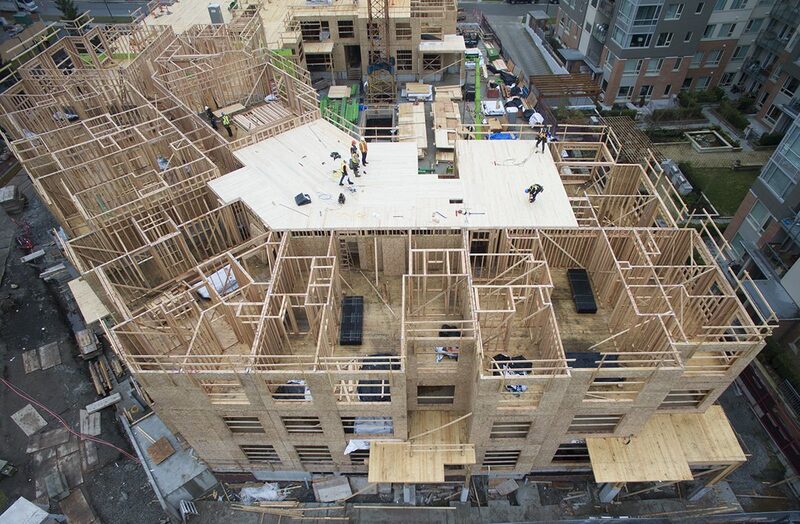 The ability to prefabricate CLT for projects creates efficiency in time, money and the installation process, while also producing fewer greenhouse gas emissions. 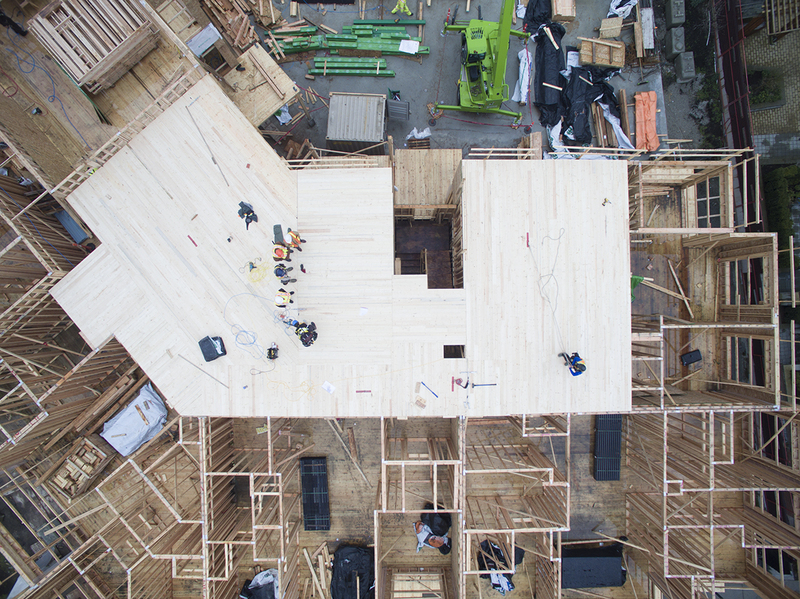 CLT is now part of the Supplement to the National Building Code of Canada (NBC). Other benefits of the use of SmartWoodTM in your home include the reduction of heat loss and off-gas emissions, increased fire safety rating and seismic resilience.  Adera’s innovations might not be something you think of or see every day but the peace of mind and serenity it gives you won’t go unnoticed. It’s comforting to know your home is something you’ll be able to enjoy forever, a home that is built with the latest technology available. 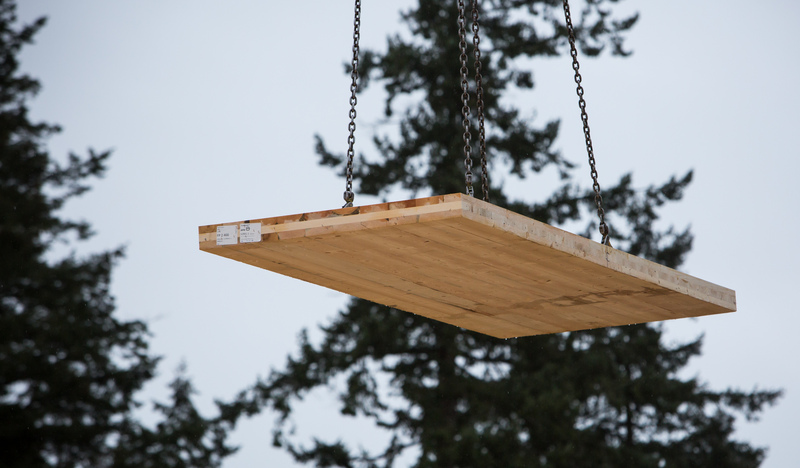 Cross-laminated timber panels weigh somewhere between 4,000 and 5,000 lbs. — more than two tons of solid, prefabricated material. Using cranes, Adera’s panels were easily transported to their predetermined spots, where two construction crew members gently guided them into their slots, ready to be anchored into the building frame. Prefabricated panels arrive on site ready to install, producing less on-site waste. Each floor at Virtuoso consists of approximately 160 CLT panels, which were lifted at a rate of one every 12 minutes. Seagate Structures, Adera’s partner for the framing of the building, worked at quite a high speed – installing 4,500 sq. ft. of flooring in less than three hours. Quick construction is a highlight of CLT. Brock Commons, the world’s tallest CLT building at 18 stories, was erected in nine weeks, at an average rate of two floors per week. It’s also virtually silent — a definite bonus for the neighbors. “If you compare the noise level on the Virtuoso site to the site right next door, there’s a significant difference,” McDougall says. *Limitations apply. Ask about our i.D. By Me Home Personalization Options Program. Contact Sales for details. Ask us for more information about SmartWoodTM!